Flexible Cable - NFPA79 conforming MTW compatible flexible cable. The D-LIST-MTW cable is a listed cable with the MTW (Machine Tool Wire) authentication, and conforms to NFPA79 standards. 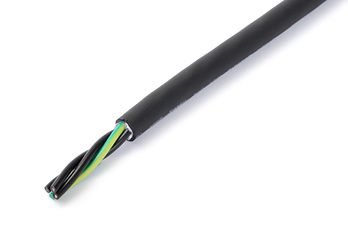 This high flexible cable uses a small diameter twisted wire conductor and can be wired to moving parts within a machine.